Norbar Torque Wrench, Gedore Torque Wrench, Deore Torque multipliers, Norbar Torque Multipliers, Tonichi Torque Wrench, Torqueleader Torque Wrench, Torque Screwdrivers, Dial Torque Wrench, Digital Torque Wrench, Britool Torque Wrench, Torque Meter, Torque Wrench, Torque Tools. Powers Tools & Portable Electric Tools. Electric & Pneumtic Operated Torque Screwdrivers. Pneumatic Tools, Oil Pulse Tools, Auto Shut - Off Tools. Cutting Tools & Electric Measuring Tools. Hydraulic Tools, Hydraulic Jacks, Hydraulic Pipe Bending Machine, Hydraulic Bearing Pullers & manual Crimping Tools & Hydraulic Crimping Tools. We Are Dealers & Distrubutors Of All Types Powers Tools & Electric Opereted Tools. ALL TYPES OF DRILL MACHINE, ANGEL GRINDER , POLISHERS GRINDERS, ROTARY HAMMER, COMBI HAMMER, DEMOLISHED HAMMER, DIE GRINDER, AIR BLOWER, HOT AIR BLOWER, CIRCULAR SAW, CUT OFF SAW MACHINE, INDUCTION CUT OFF SAW MACHINE, JIG SAW MACHINE, PLANER, ROUTER MACHINE WITH FULL ACCESSORY LIKE H.S.S. DRILL BITS, CONCRETE H.S.S. & SDS PLUS DRILL BITS, MASONARY DRILL, H.S.S. CHISEL WITH DIFFERENT SHAPE. 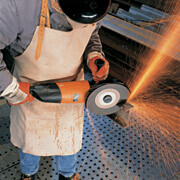 ABRASIVE CUT OF WHEEL, GRINDING WHEEL. A vigorous re-branding launches AEG POWERTOOLS into 2009, with its vibrant bold orange colour giving the company and its products a dynamic new look. This is however, not merely a colour change... the strong new image is being backed up with its commitment to product development and innovation and will deliver over 20 new products at launch and a total of more than 40 new products in 2009. This will include the Compact 12V Range - a family of ergonomically superior tools based around the compact 12 V lithium Ion battery platform, the Powerful 18V Range - a truly professional offering for today's tradesman across the 18v platform , new 2 kilo SDS plus hammers with extremely low vibration and class leading power and a revamped woodworking portfolio, including a 305mm sliding mitresaw and 2050 watt router. All of these will, of course, be backed up with AEG POWERTOOLS extended three year warranty*. The strong new branding is further reflected in communications material and in-store presence, with a modern new catalogue, exciting P.O.S solutions and a complete new merchandising range. Since being founded, AEG POWERTOOLS has been leading the way in new product development. By introducing the first transportable drilling machines in 1898, portable powertools were born. Over 100 years later AEG are still offering the professional user innovative, powerful solutions. Further For Product Refernce E - Brocuser, Prices List Factors Please Send Us E - Mail. KULKARNI POWERS TOOLS (KPT MADE IN INDIA). KPT has over 25 years history of manufacturing and marketing electric power tools. Quality is the buzz word behind the power tool manufactured by us. This is backed up by an unmatched service. We understand and visualize customers requirements. Defense Establishments, and many more spread all over the India. Founded in 1976, KPT aims to meet the challenges of the 21st century by offering its customers & products that meet global standards at competitive prices. KPT product engineering uses ultra modern CAD facilities and rapid prototyping technique to bring a given concept into reality. Customers comfort by means of sound ergonomic designs is always a priority. Standards defined by ISO 9001-2000 continue to be a part of an ongoing process, aimed at ensuring customer delight. KPT has three shops viz. Machine Shop, Winding Shop and Assembly Shop which are set up with the state-of-the-art technology. It has its own power generation facility and well equipped Reliability Laboratory to conduct all sorts of tests a power tool has to go through. 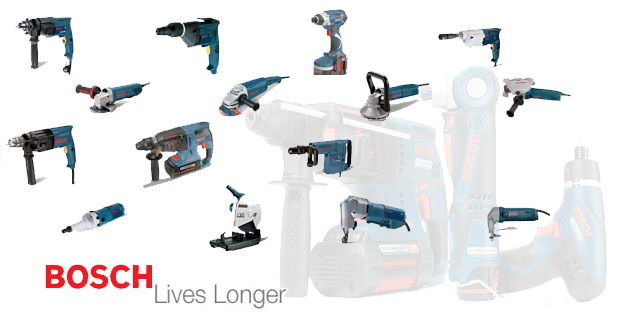 Since inception in 1993, the Bosch Power Tool division in India has grown to become the market leader in power tools segment. With a complete range of power tools for construction, woodworking and metalworking industry, the division meets and fulfills the needs of professional users. Added to this the division also has cordless tools and supports its products with a comprehensive range of accessories. For the first time in India, we have introduced tools for DIY (Do-It-Yourself) enthusiasts as well. Ralli Wolf Power Tools ( Made In India). Ralliwolf is the pioneer and one of the largest manufacturers of Portable Power Tools in India. Started in 1959, the company has the following type of tools in its product range. Over 40 models of power tools : including popular metal bodied tools and Double Insulated FRP body tools. 100% indigenous, rugged, sturdy and time-tested - an asset to your industry. While designing each of these sub-assemblies Safety, Reliability, Convenience & Performance are given a thorough consideration and augmented through conscious efforts of manufacturing and quality assurance all the times, latest technologies and techniques are developed, adapted and introduced in all the spheres of activities, which go into making of a Ralliwolf product. Bench Grinder, Pedestal Grinder, Abrasive Belt Grinder. The products are manufactured by adopting strict quality control measures and the raw materials used are nothing but the best. All Machines/ Electric Motors are mechanically sturdy and robust, vibrant free, electrically sound and easy to use and maintain. The Machines/Electric Motors is warranted to be free of manufacturing defect and carry one year warranty from the date of purchase against any manufacturing defect. We manufacture special type of machines as per customers specific requirement. We also manufacture for Export and for Offshore projects. We also manufacture machines suitable for different frequency and voltage supply . We also manufacture special type of Polishers (Buffing machines) suitable for Jewelry, Leather and Watch Making Industries.We also manufacture for expert and offshare projects, machines / motor suitable for different Voltage and frequency supply as per specific requirement. Importer Dealers, Distributors and Supplier of Hand Tools, Tools Trolley and Torque Tools. Impact Tools also provides Force Measurement Tools/Equipment, Pneumatic Tools & Accessories and Electric Screw Drivers.